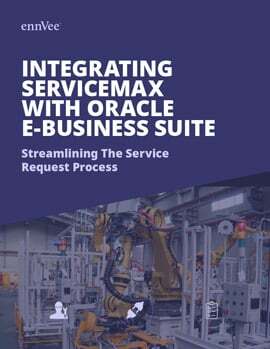 This case study explores how a manufacturer of digital printing equipment addressed gaps in its after-sales service operations by integrating ServiceMax and Oracle EBS. How to automatically send work order information from ServiceMax for processing as a sales order in the Oracle Order Management module. How to automatically update the price of parts in Oracle EBS and ServiceMax whenever there is a price change or new parts are added.